African community leaders in Chicago, USA, gathered last Sunday evening to support the Alie Kabba Campaign. 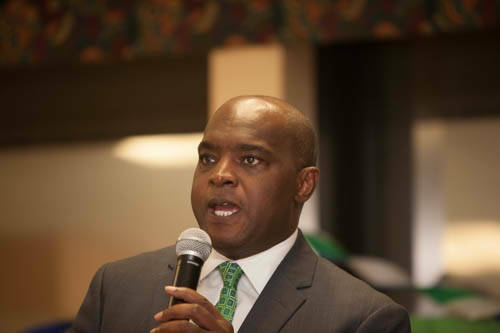 Leaders from Ethiopia, Zimbabwe, Ivory Coast, Ghana, Nigeria, Liberia, Senegal and several others gathered to honour Alie Kabba for his leadership and selfless devotion to the empowerment of Africans in the US. (Photo: Mr. Alie Kabba). The memorable occasion demonstrated the depth of Alie Kabba’s remarkable leadership as a dedicated Pan-Africanist, whose work has touched the lives of many Africans over the years. Speaker after speaker highlighted the many ways in which Alie Kabba’s advocacy on behalf of the African community, have advanced dignity and opportunity for African immigrants and refugees. “When African hair braiders needed help after many years of being harassed for license to operate our business, Alie kabba stood with us to advocate for African women in the State legislature,” said Coco Doffou from Ivory Coast. Godfrey Chinomona from Zimbabwe noted the success of Alie Kabba as Executive Director of United African Organization. “We have been very fortunate to have a strong and committed leader like Alie Kabba to head the UAO through challenging times. He has brought greater recognition and respect for Africans here,” he said. 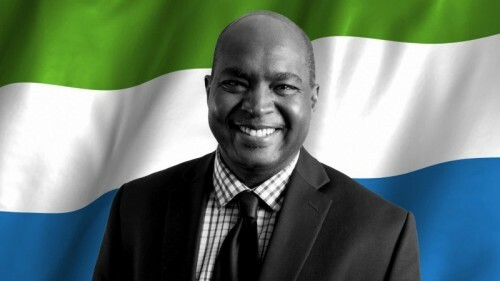 It was very moving to see many Sierra Leoneans at the event who shared testimonies of Alie Kabba’s leadership qualities, since his days as a young student leader who stood up against dictatorship and never hesitated to sacrifice everything in the service of the people. The host committee for the event did a marvellous job in organizing the gathering, with so many distinguished friends from several African nations. With delicious African food and music, the evening was an authentic showcase of African solidarity. Alie Kabba’s leadership qualities cannot be underestimated. He will not only make a very good president for Sierra Leone but will improve the thinking of Africans in and out of Africa. His commitment and dedication for human dignity speaks volumes. Its been a long journey for him; from school days, to universities, to the diasporian communities and now to his home country. His quest for the majority to elevate themselves from poverty and be part of a wider group that enjoys society’s stake cannot be questioned. The opportunity to be President of our failed state; Sierra Leone will be a huge advantage to the ordinary Sierra Leonean. Mr Kabba’s vision is to bring dignity and self awareness to his people through a sincere covenant between the people and himself. He believes that Sierra Leone and the wider Africa will be able to stand shoulder with other continents. Good luck Mr. Kabba on this endless journey.